Dog Kennels | Hoover Fence Co.
With more than 40 years in the kennel fabricating and fence business, we've learned a few things about containing these animals we've affectionately termed "our best friends." We've taken this knowledge and used it to design, fabricate, and supply the industry's finest animal related products. 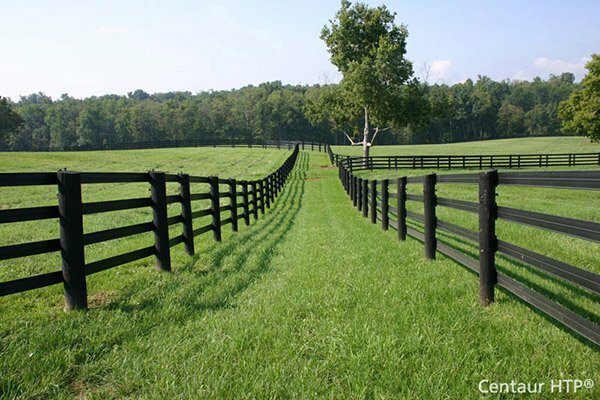 At Hoover Fence Company, our commitment is to our customers and their total satisfaction. We offer an assortment of kennels and accessories for quality conscious customers that range from pet owners with one animal to facilities housing hundreds of animals. All customers - large and small - receive the same courteous and professional service. Check out our Kennel Comparison Chart for more information and specifications on each type of kennel system we offer. Our unique modular kennel system has been crafted from years of experience and are versatile for nearly any application. We professionally fabricate our kennels using only the highest quality materials and offer them at very reasonable prices. We also currently offer economical boxed kennel kits, shade covers, waterproof covers, and chain link mesh tops. Specially designed kennel floors, travel kennels, and indoor kennels are also available. Our high quality kennel panels are also perfect for securing expensive outside equipment such as air conditioner condensing units or pool equipment.